The GDUSA magazines American Graphic Design Awards issue (Nov/Dec 2016) included a nice surprise for me. 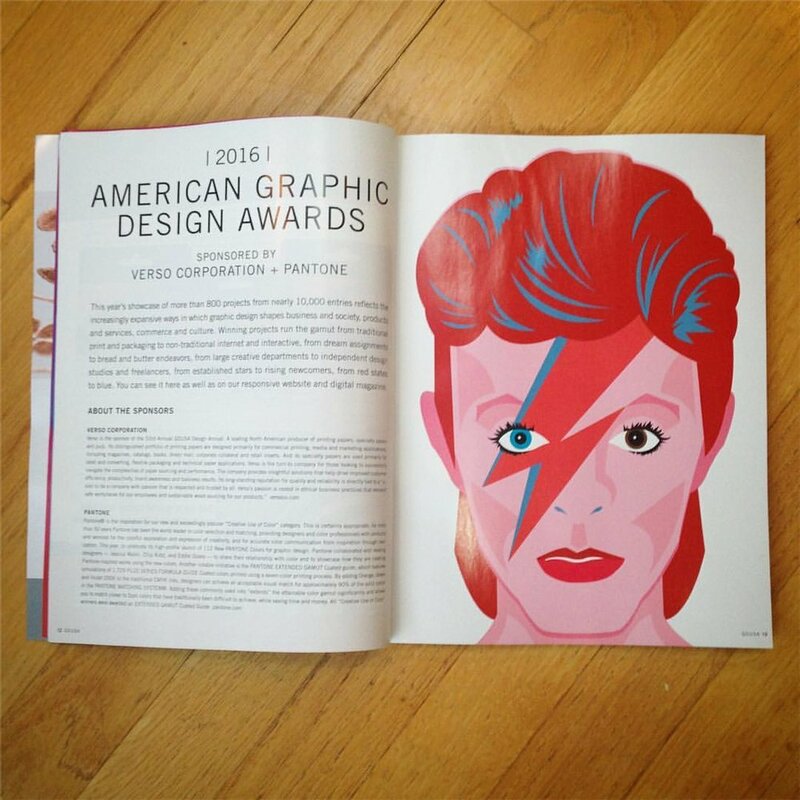 When I opened it up, my Bowie illustration was featured full page as the opening spread. My invitation suite was selected to be in the invitation category, but I was unaware that it would get featured like this! Here is the entire invitation suite. Envelopes, RSVP card and the invite folded up and the flat invite inside and outside so you can see the full fold-out poster.